The new 'Meteor Garden' stars performed the song. 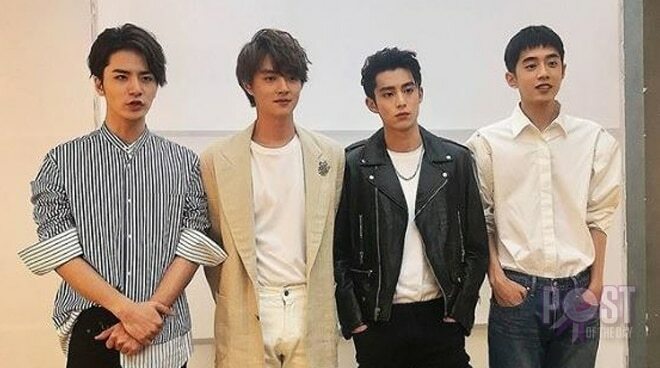 The new F4 stars composed of Dylan Wang, Darren Chen, Liang Jing Kang and Wu Xi Ze, performed their new song "For You" live for the first time. Dylan posted a clip of their performance on Instagram. The post already garnered more than 6k views as of this writing. Various netizens expressed their "kilig" reactions to the video. Meteor Garden 2018 is set to premier in China tonight, July 9.